Local customers are looking for your services and products every hour of every day, the question is are you being found? You have a website, and it sits and waits to be seen. Its your shop window but are there many passers by? You should be seen by local people, looking for your goods or services but you are nowhere. Our local SEO strategies are tailored to your business by analysing where you are now, compared to your competitors. We look at things both on the website and out there on the net that could be holding your site back. We run reports highlighting any problems that we fix and we suggest and can implement changes to improve your online presence. Thus the hidden away shop window becomes the talk of the High Street. 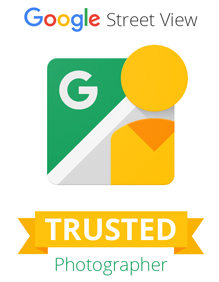 More than 80 percent of businesses have not claimed or manage their Google Local page! Google delivers results based on what you search for and where you are located via IP address. This applies to Mobile phones and desktops. Google needs to know who you are and what you offer from various important citation sites. This eco system of business sites Google checks regularly to see if you are listed on them. The most important page after your own web site is your Google Business Local page this listing can appear on the home page search results also known as the 3 pack. Is your business visible to local customers or are you a needle in the haystack? 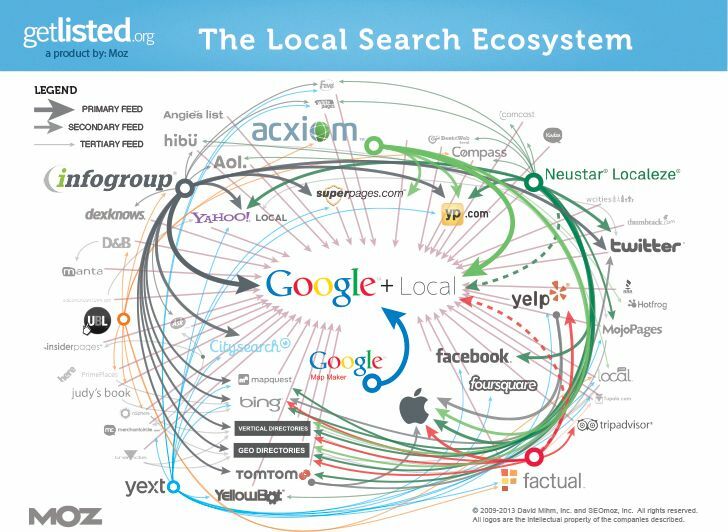 We work to enhance your Google presence and get you found locally. Here is a list of the key things that we work to in order to produce better ranking for a business. As each web site differs we tailor a bespoke work schedule to those companies specific needs. Run an in depth report to see where you are positioned for your main keywords within Google Local, Yahoo Local and Bing Local and organic search results. 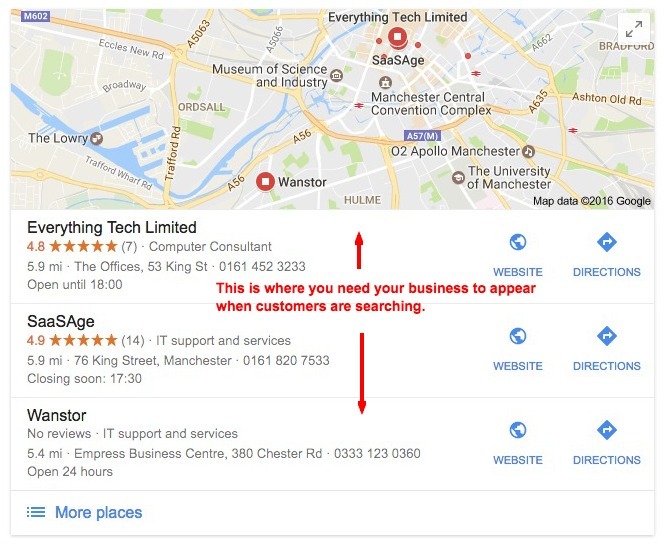 Identify any problems which are holding your website back in local search including Google+ Local, Local Directory listings, on-site search engine optimisation (SEO), off-Site and social media. Then we’ll work with your web designer to fix the onsite issues and apply on page SEO. We find and track your active citations and see where your competitors are listed and you are not. From this audit we can then cleanup your citations as well as the good and bad links effecting your site and SEO profile. Optimise your Google+ Local profile – Analyse your listing and see how you compare to your top 5 local competitors. From the reports we can then see what needs to be improved. Typically we will also need to add your site to local directories, Industry specific directories and social networks etc. The above reports then help to form the blueprint to which we work. We then report back to you monthly keeping you informed of the work undertaken and the overall progress. Search engine optimisation works best over time rather than in one go, working in a natural way with Google’s algorithm to build trust and credibility over a longer period. 84% of people say online reviews influence their purchase decisions. After all of these web properties have been set up you need to encourage customers to leave positive reviews, as part of our local seo package we can supply a review widget for addition to your site encouraging customers to leave reviews and boost your rankings. Reviews need checking on a regular basis to see who is saying what about your business. You need to reply to any negative reviews swiftly and again this is something we can help with to track reviews and alert you to any dissatisfied customer comments.